Earning a college degree is still the best way to achieve higher earnings over time. With unemployment at its highest levels in decades, many recent college graduates are questioning the value of their degree in today's job market. Moreover, with the increasing demand for skilled labor in the United States, workers who possess practical skills but no college degree may have an easier time finding jobs than those with a degree. When it comes to salary and job quality, however, college graduates still have a leg up over the long term. 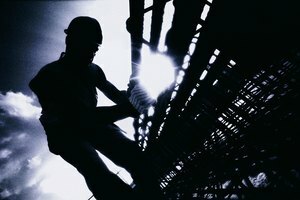 Despite the high rate of unemployment over the last several years, the demand for skilled laborers here in the United States remains strong. According to the New York Times, skilled job roles that were very much in demand at the height of the 2009 recession were welders, critical-care nurses, electrical linemen and respiratory therapists. Each of these roles may lead to relatively high-paying careers and do not require prospective employees to hold more than a technical or associate degree. The difference in average salaries earned by college graduates and skilled laborers with no college degree may not be readily apparent during economic downturns. This has to do with the decreased demand for college graduates who expect higher wages and the increased demand for skilled workers who do not share the same salary expectations. 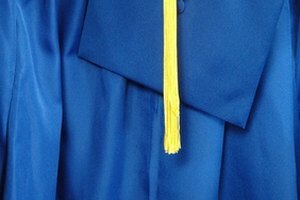 The Bureau of Labor Statistics calculated that those who did not hold a college degree earned at least 25 percent less per week than those who earned a bachelor's degree. The study also shows that workers with professional degrees stand to earn a higher salary than all other degree or non-degree holders, including those who hold doctorates. Today, more U.S. citizens hold college degrees than ever before. 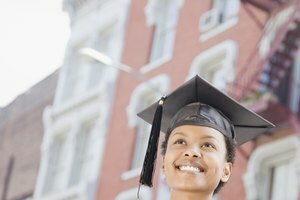 While this is great news, the supply of college graduates has overtaken the demand employers have for workers with robust salary expectations. The National Bureau of Economic Research found that an imbalance in the supply and demand for college educated workers has occurred cyclically over the last century and often reaches its peak during recessions. As a result, college graduates tend to lose their wage premiums during periods of high supply and low demand, but regain them once economic innovation and the demand for highly educated workers begin to increase. Despite the wage variability college graduates experience during tough economic times, the probability that they will earn much higher wages over time is still greater than those who do not hold a college degree. 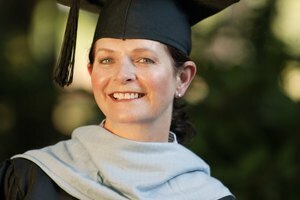 In 2008, the Georgetown University Center on Education and the Workforce calculated the lifetime earnings of college degree earners to be $960,000 more than those with only a high school diploma. This shows that while skilled workers may be more in-demand during economic recessions, college graduates still have much more to gain in terms of wages over time. Cranford, Nathan. "The Average Salary of a College Degree vs. Skilled Labor." Synonym, https://classroom.synonym.com/average-salary-college-degree-vs-skilled-labor-25296.html. 26 September 2017.